Today, I have a really fun and very useful product to show you. 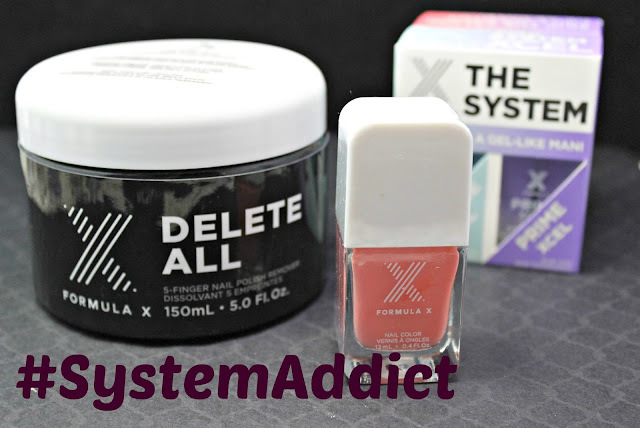 The System Xcel was given to me from Influenster to try out and share with you guys. The System Xcel is a 4 step gel process without lights or worry. In addition to this easy to use system, I have an awesome... like totally awesome... nail polish remover. Read on! Delete All is a nail polish remover that comes in a jar with a sponge. There are 5 little finger holes and some awesome formula. My previous mani was all glitter. You all know how difficult it is to remove glitter. The last picture in the collage shows the removal after only 30 seconds in the Delete All. I dipped them in for about another 30 seconds and it was completely gone. Just a little finger wiggle and magically removed! 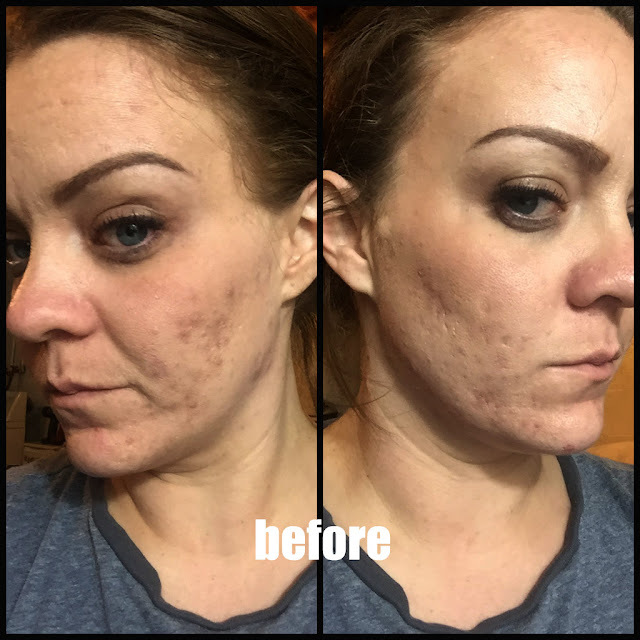 I am in love with this product and I will be repurchasing when I run out. Once my nails were free from polish, I started the system. There are 4 simple steps to create your at-home gel manicure. Cleanse, prime, color and then shine with a top coat. Each of these come in a simple bottle with a nice sized brush. The Shine has a little bit of a bigger brush, but I like that since it was a lot easier to put on. Step 1 is Cleanse. This is a alcohol like formula that removes all oils from your nail and allows for a clean slate. Step 2 is Prime. Priming your nail is an important step in gel nails. This is made with Keratin and bonding agents to help everything hold longer and stronger. Step 3 is Color. As you can see, I used TGIF from Formula X as my color. With this system, you can use just about any color you want. Step 4 is Shine. Shine is the sealing top coat that is fortified with acrylic to allow for the shiniest of finishes. I have been looking for an easy-to-use gel system that doesn't require a light and can be used with any color. A lot of at-home gel systems can only be used with special gel color. 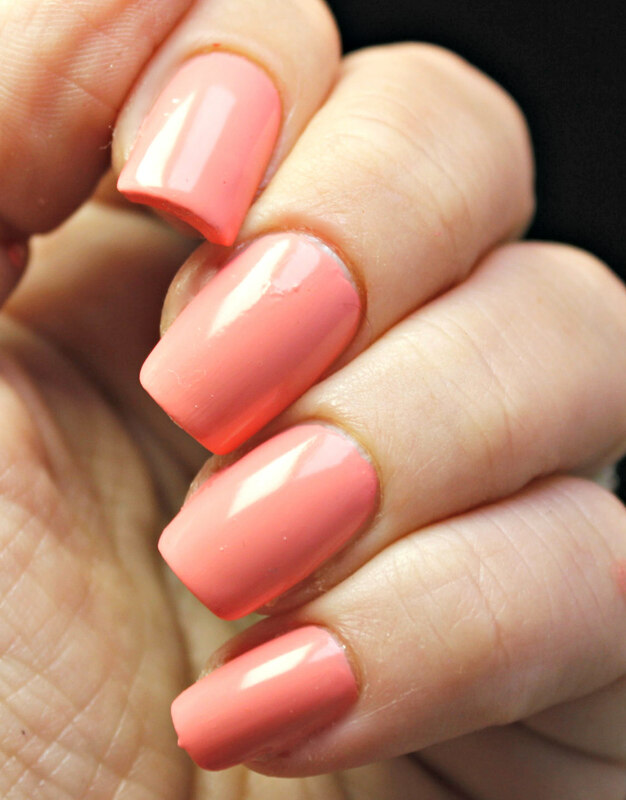 I can use this with any color and instantly have a gel mani with the color I love.